SeaWorld Orlando is adding what they claim will be the tallest and fastest coaster in Orlando! Sink your teeth into SeaWorld’s unrivaled new coaster, Mako™. 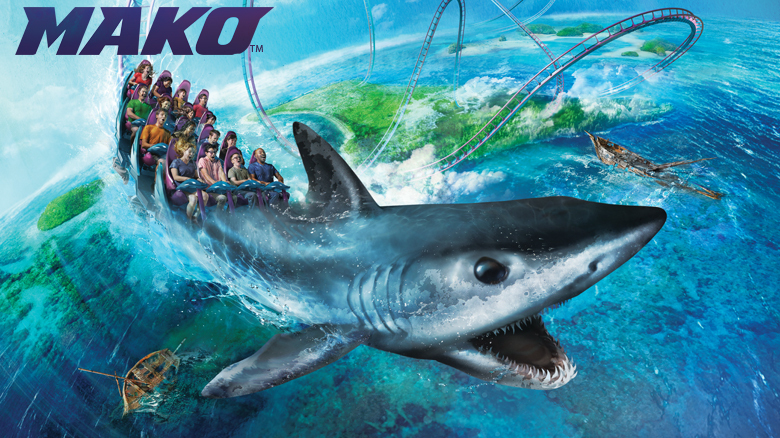 Named for one of the ocean’s fastest known sharks, Mako will be Orlando’s tallest, fastest and longest roller coaster. Surfacing summer 2016, this 200-foot-tall hyper coaster will reach 73 mph along 4,760 feet of steel track — nearly a mile long — and leave riders feeling both breathless and weightless. Scream through the deep dives with unmatched speed and predator power. Fly through the air with the grace and agility of the ocean’s apex predator. You’re not just riding another coaster, you’re about to understand the thrill of the hunt. This entry was posted in Coasters and tagged Mako Seaworld Orlando. Bookmark the permalink.